BRISTOL 40 YAWL. Stand out from the crowd and turn heads wherever you go! A classic meticulously cared for. New Awlgrip topsides and cockpit/cabingorgeous dark blue hull and white cabin and cockpit. Low maintenance as Awlgrip should last 10 years or more. Colorful spinnakers and mizzen staysail-sports 5 sails at once! 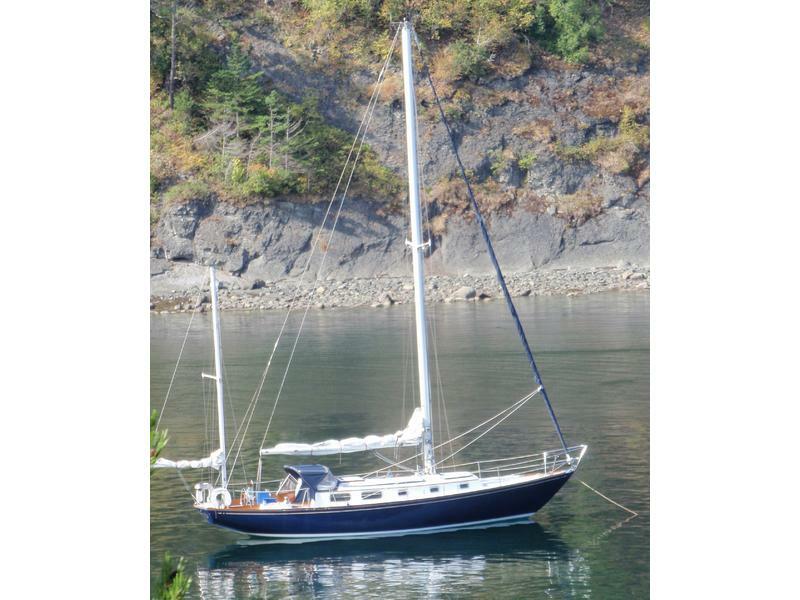 Yanmar 50 hp8 knots cruise, 10 Barients, large sail inventory, inner forestay and roller furling outer4 jibs/genoas, 2 anchors-chain and 500′ rhode, Autohelm depth, wind, knot meter, autopilot. Ardic forced air diesel heater makes it comfortable to cruise year-round. 2 cabins, large head w/shower, 40 LOA, beam 1010, keel depth 57 with 6,500 lbs ballast, displacement 17,600 pounds. Interior has large salon, icebox, 3 burner Hiller stove and oven, gps, vhf radio, inverter, am/fm radio/CD. Oil changed every 100 hours, two bank batteriesboth new, 90 gallons H2O, 65 gallons diesel. Go anywhere with speed, elegance and safety–the only Bristol 40 for sale that has been repowered with 50 HP Yanmar (most have 36 HP Westerbekes). 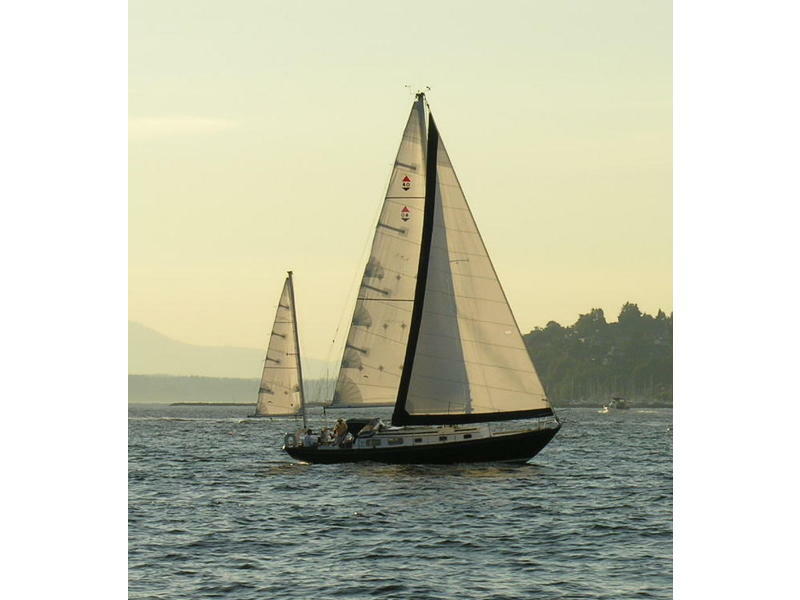 Safer than newer designs; heavily laid fiberglass throughout–1.5″ thick from stemhead down to keel base. Under power, 9 miles to gallon, burning .85 gals/hour. 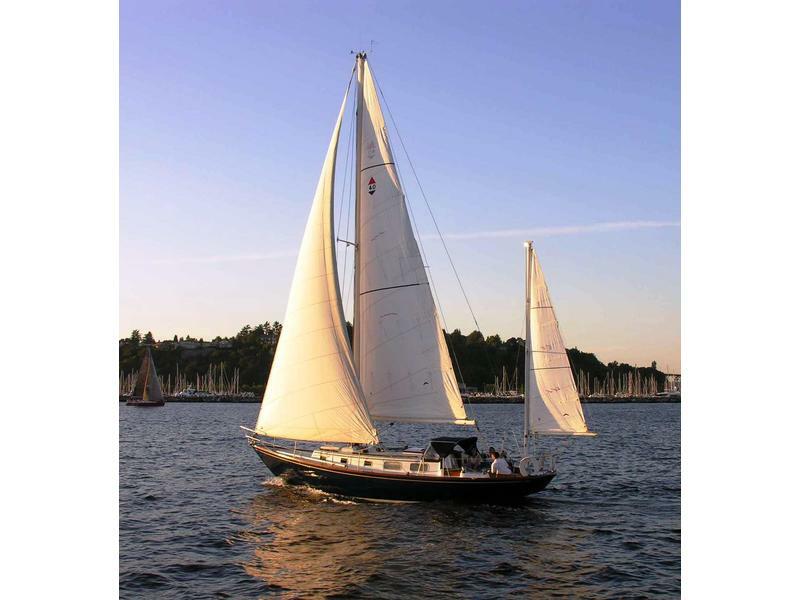 Under sail, achieves 8 knots speed with only 12 knots of wind. Or comfortably sail in 40 knots of wind under mizzen and inner forstay-rigged storm jib. Most beautiful Bristol 40 on West coast. $50K upgrades in last 10-years. $65,000. Won’t last-call (# removed) or (# removed). Kept in fresh water 8 months out of year, new batteries, new hot water tank, bottom paint provided, zincs replaced every 6 months. Cabin has fireplace, many 12-volt lights for reading, Kitchen fully equipped with dishes, pots, pans silverwear etc. towels included, lifevests, bbq, many extras, impeccable throughout.